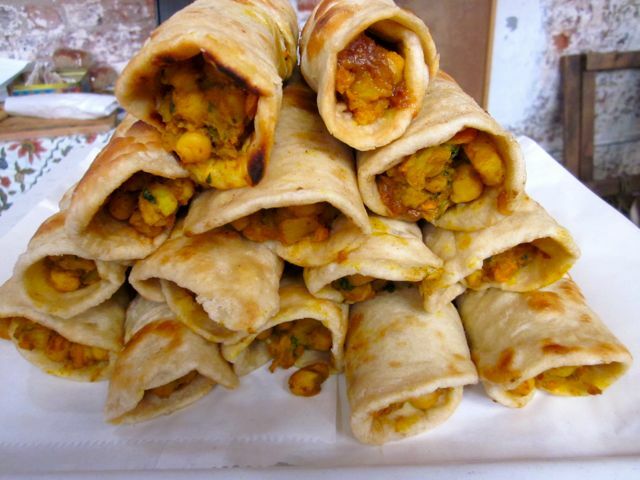 So much about a country and a culture is expressed through its cuisine. The first thing I do when I travel is head out to taste the local dishes. In South Africa much of the cuisine is a home cuisine and to get a taste you really need to search hard! In order to understand the cuisine of our country, you need to understand who we are as a country. We extend across all the possible colour lines as well as across most of the world’s religions. We are made up of so many tribes, that we have taken the biggest language groups and declared ourselves to have 12 official languages for the country! It took a great man to unite us – Nelson Mandela. He coined the term – the Rainbow Nation – to describe us and our flag symbolizes the melting pot of a country the we are. Approximately 80% of the population of South Africa are black. In Cape Town most of the people you will meet are from the Xhosa Tribe. Nelson Mandela was proudly Xhosa! Out of this grouping there are a large number of different tribes which are divided geographically across the country. There are variations across each of the tribes. However a commonality is that maize/corn is the main staple of the country across our different tribes. 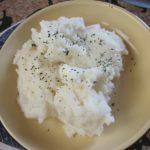 Pap should be stiff when it is cooked as traditionally we eat with our hands! 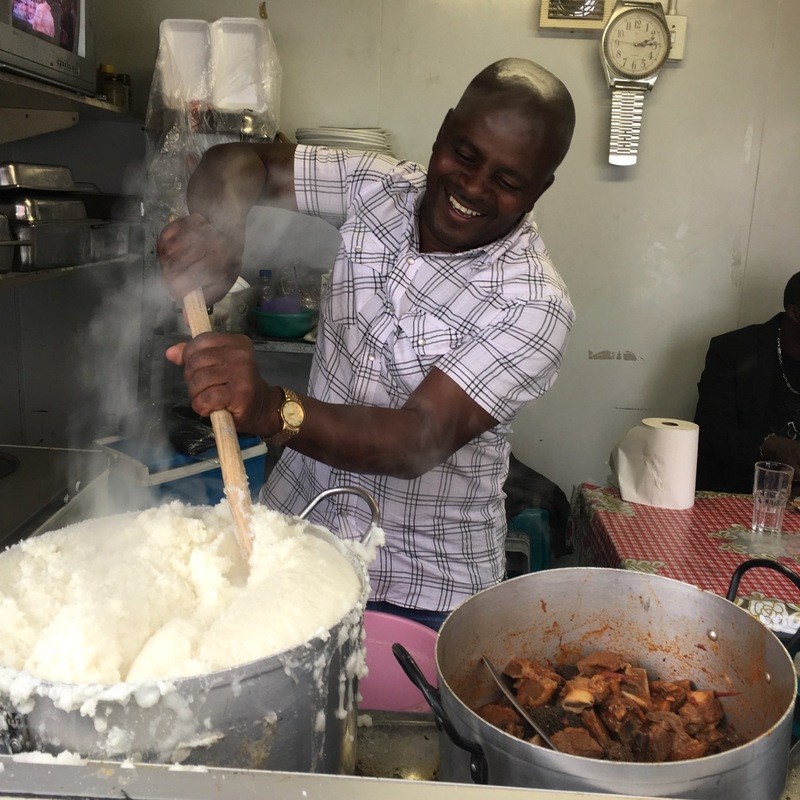 Most of the country eat Pap – a thick porridge eaten with hands and accompanied with a saucy meat or chicken dish. The Xhosa tribe (from the Eastern Cape) however prefer to eat Samp & Beans. 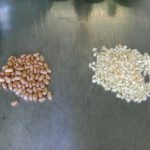 This is a mix of cracked dry corn with sugar beans. 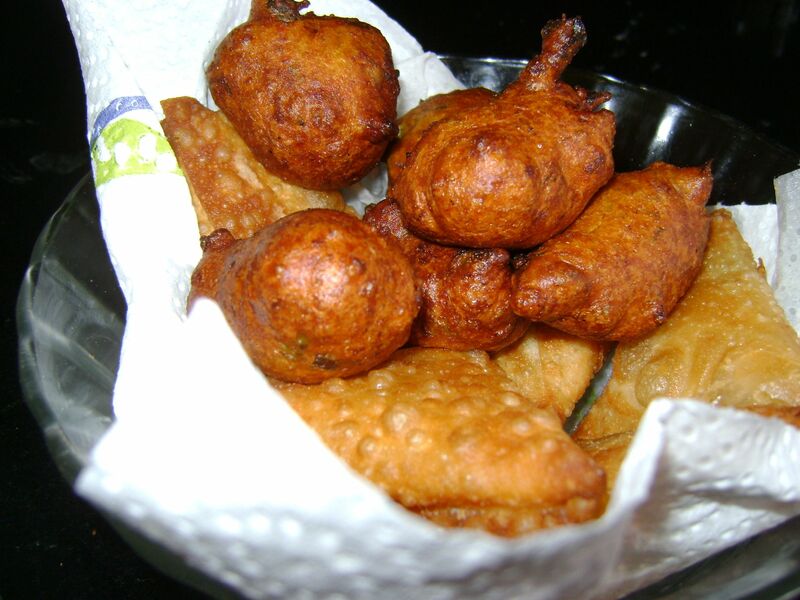 To gain more insight into typical African soul food click here. 9% of our population are categorized as “coloured/Cape Malay”. preserve fish they would dry or smoke it. 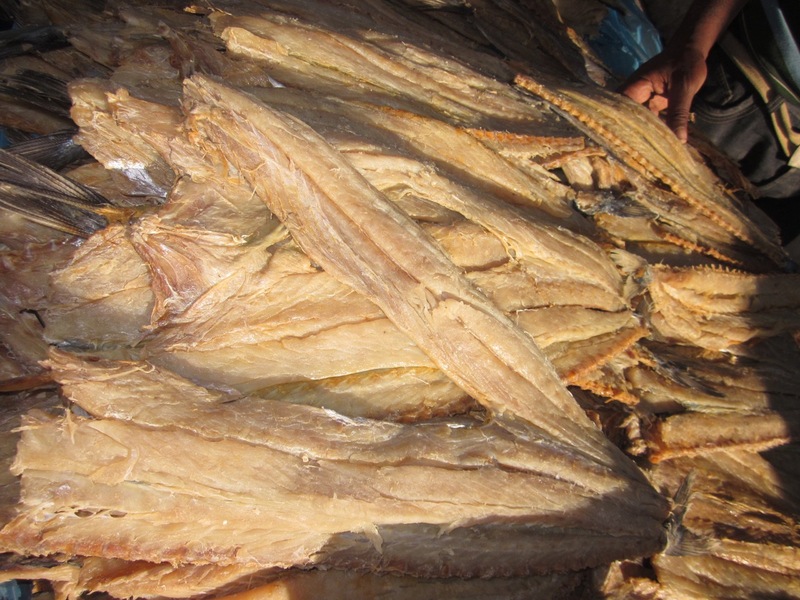 The fish most commonly dried or smoked was Snoek – a game fish. When fresh Snoek is traditionally cooked by cutting it open and adding apricot jam, then wrapping it in foil and cooking it over the fire. You are likely to find smoked snoek pate somewhere on a menu – order it immediately – it is delicious with freshly baked bread. 1.3% of our population are Indian. Although some Indian people came to South Africa as slaves in 1659, the majority came about 155 years ago to work as indentured labour on the sugar cane fields and farms of Kwazulu Natal. Most had a 7 year contract and would then be guaranteed a passage home to India. Although some decided to stay on in Africa, many who wished to return discovered that the contractors refused to pay for the return voyage. As such Natal still has a large Indian population. Over the years the curry recipes they had brought with them ended up having a South African touch to them. One of the interesting items that remain as part of our street food culture in Natal is a take away bunny chow. 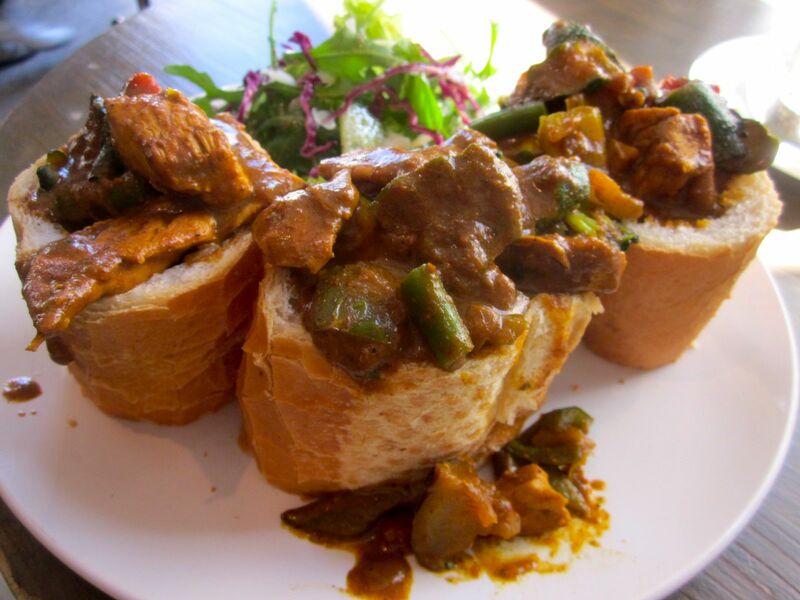 A bunny chow is quite simply a loaf of bread with the insides scooped out and filled with curry. It takes away the cost of packaging! Gourmet mini bunny chows filled with hot Durban curry! Me! White (well debatable as I have early roots in the Cape and everyone mixed in the beginning!) Plus English speaking! In the White community their is a language split between English speaking (originally British origin) and Afrikaans speaking (a dialect language of Dutch and people of Dutch origin). Due to different languages we grew up quite separately as we went to separate schools. From an English background I can think of absolutely nothing that is unique to us! 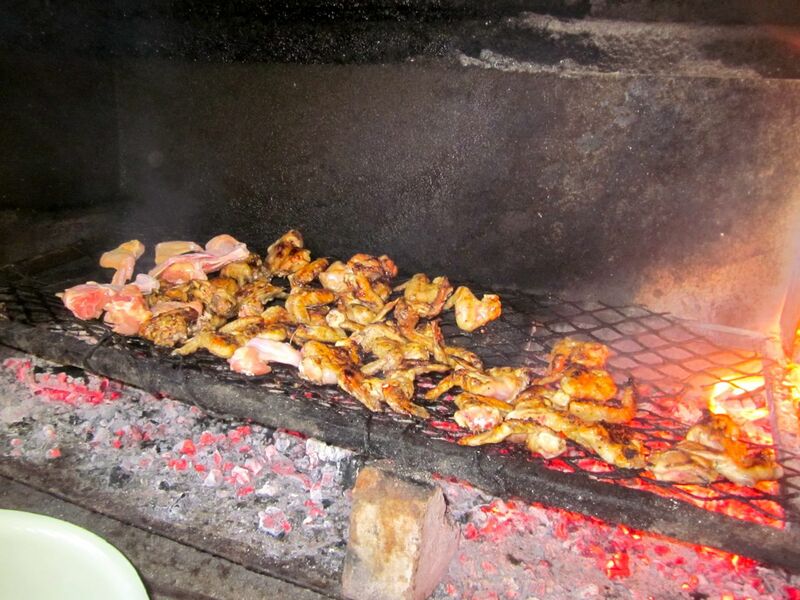 Braai – this means to BBQ – over coals made from wood or charcoal. This is a favourite national pass time across all groups in this country. We love to braai. The meat is cooked by the men and everything else is prepared by the ladies – salads and garlic breads usually. While the men braai they drink beer and use the beer to keep the flames down and when we all sit down to lunch we love to serve pinotage wine (a uniquely South African red wine varietal that pairs brilliantly with meat!) 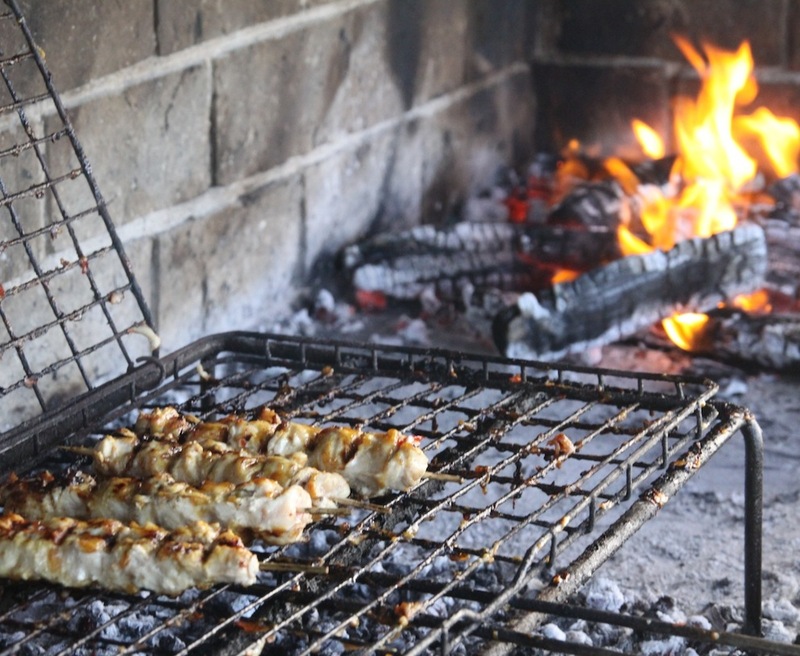 A braai usually includes a large amount of red meat, it can include chicken sosaties, boerewors and sometimes fish at the coast. We would NEVER BBQ hamburgers or hotdogs! The only variation on this would be Boerewors rolls! Boerewors – this deserves a mention on its own! Boerewors is a thick sausage made from a combination of beef and pork. It is sold as a roll of sausage and braid as it is. This sausage is from the Afrikaans community and is a national favourite. Sampling it is hard as it is generally only served in peoples homes when they have a braai. We often have a pile of bread rolls and will do Boerewors rolls for the kids while the rest of the meat is cooking. on a braai. 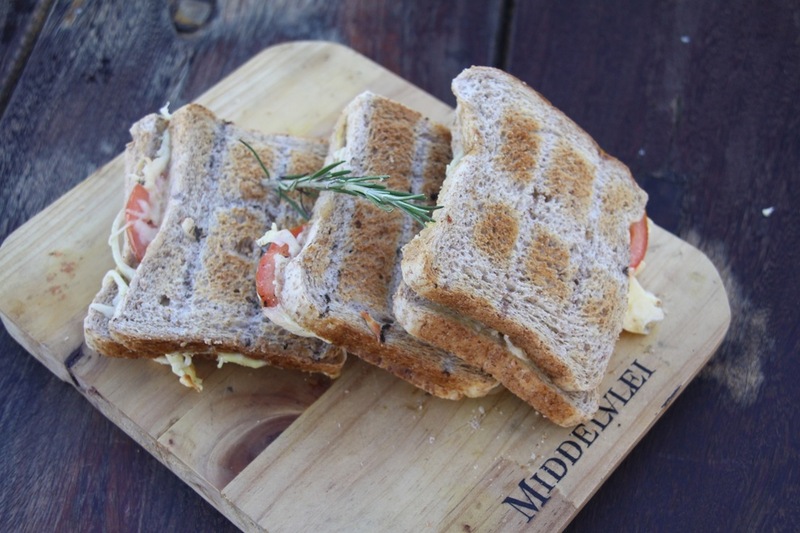 Cut homemade bread into thick slices, add tomato, onion and cheese and put in a braai grid over the fire. This makes for a great starter at braai’s! 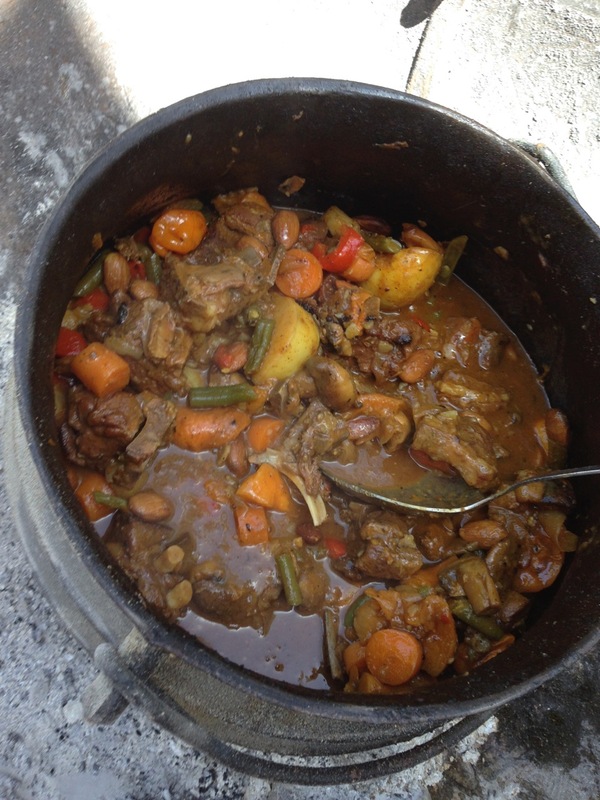 Potjie or Potjiekos – this one also comes from the Afrikaans community. It literally means pot food. Using a black three legged pot over coals this is a type of stew cooked over the fire. It is usually made by the men and takes a few hours to cook! Yummy Potjie ready to eat! It is a great excuse for the guys to get together to watch it cook and drink beer! It is a very serious operation. One does a layer of veg, then a layer of meat, then the spices, then the next layer of meat and the next layer of veg and one keeps going util you reach the top of the pot. Recipes are often closely guarded! And debates often happen on who does the best potpie in town. Once the lid is on – you leave it to gently simmer over the fire. You NEVER stir a potjie! Variations range from beef to lamb to seafood potjies. Once again this is very much a home cuisine and hard to access for a visitor. Oxtail Stew – is an absolute favourite in South Africa and recipes are handed down through the generations on how to prepare this dish! Rusks – this is known as “beskuit” in the Afrikaans community – it literally means double baked bread and was made to conserve the bread to give it a longer life. It has literally been made since the late 1600’s in the Cape and was originally sold to the passing ships. Today it is eaten mainly at breakfast – and we dunk it into coffee or tea to soften it first. Don’t try and eat it plain as you may lose a tooth! You will come across them in jars on safari – they are great in the early morning before your safari drive. The most famous brand of rusks in South Africa is Ouma Rusks – this brand dates back to the 1930’s. 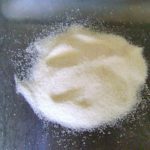 The most traditional type is the one made from buttermilk. However you now find all sorts of funky variations from fruity ones to muesli. Once again most Afrikaans families have a family recipe for making their own. 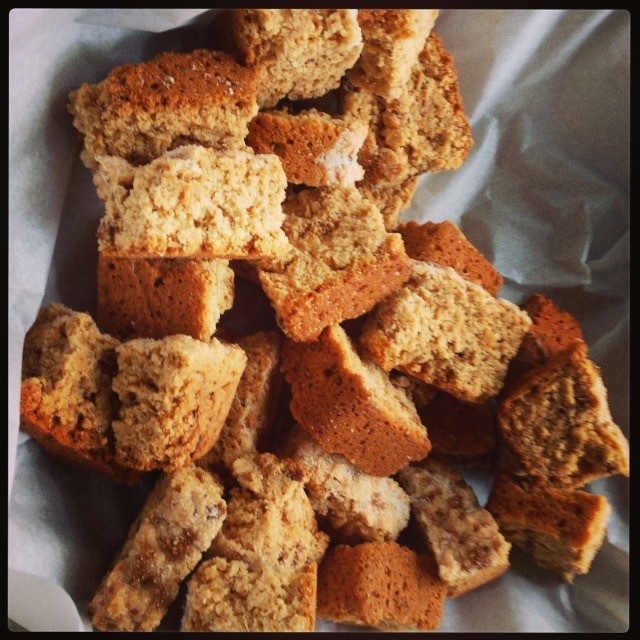 Click here to read a lovely article on South African rusks. Biltong – a traditional way of preserving meat in the days before fridges – we literally soaked the beef in vinegar and then rolled it in salt, pepper and coriander seeds before hanging it up to dry for 3 to 5 days depending on your preference for how dry it is. This is NOT beef jerky – we like it quite moist with some fat on it. It is our favourite thing for car trips and for when the lads get together for watching sporting events. In Cape Town my favourite place to buy it is Franky Fenner’s meat market. Find them either in town or in Woodstock. 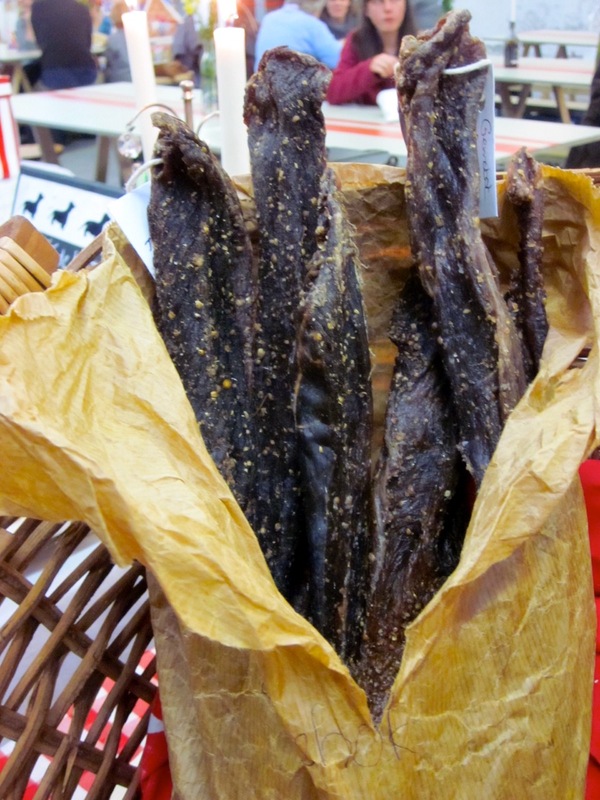 Droewors – this literally means dried sausage – which is also a favorite for car trips and sporting events. Once again in Cape Town my favorite spot to buy it is Franky Fenners Meat Market FFMM. 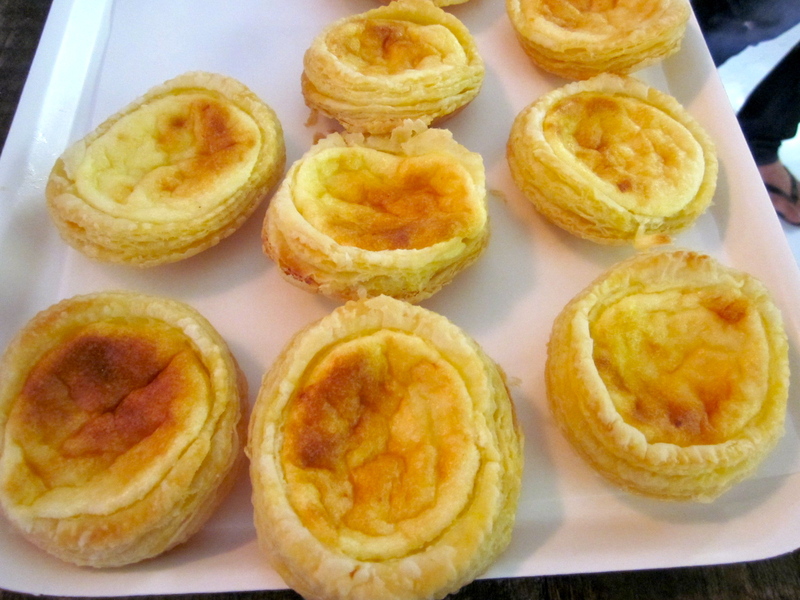 Koeksisters – sweet – so very very very sweet. It is two pieces of dough platted together, deep fried and then dipped in golden syrup which is absorbs with great thirst! You find these at farm stores as you travel or in supermarkets. South Africa is home to large immigrant communities. Each one brought some of their dishes with them and as such they make up part of the fabric of the dining experiences you will find down here. Greek and Italian – large communities moved here after Europe’s economy was shattered after the end of World War II. As such you find lots of restaurants offering both of these cuisines! Jewish Communities started moving here in large number at the turn of the century. Our Jewish Community came mainly from Lithuania and Latvia. We had some more moving here just before World War II as well as at the end of the war. In the 70’s and 80’s we had a large exodus of this community due firstly to not wishing to live under an Apartheid regime and in the 80’s due to fact that civil war seemed imminent in our country. There has been an upsurge in serving contemporary Jewish cuisine in Cape Town and great spots to head to try some fun items include – New York Bagels (Best cheesecake in town as well as awesome bagels), Max’s Bagels (a tiny hole in the wall bagel shop on Bree Street), Kleinsky’s – great deli in Seapoint as well as a sit down spot – everything is delicious here and it is a great food journey! Jarryd’s in Seapoint – ok so not so much Jewish cuisine driven – but Jewish owned and fabulous for breakfast or lunch! Plus you will find most of Seapoint’s Jewish community dining here! 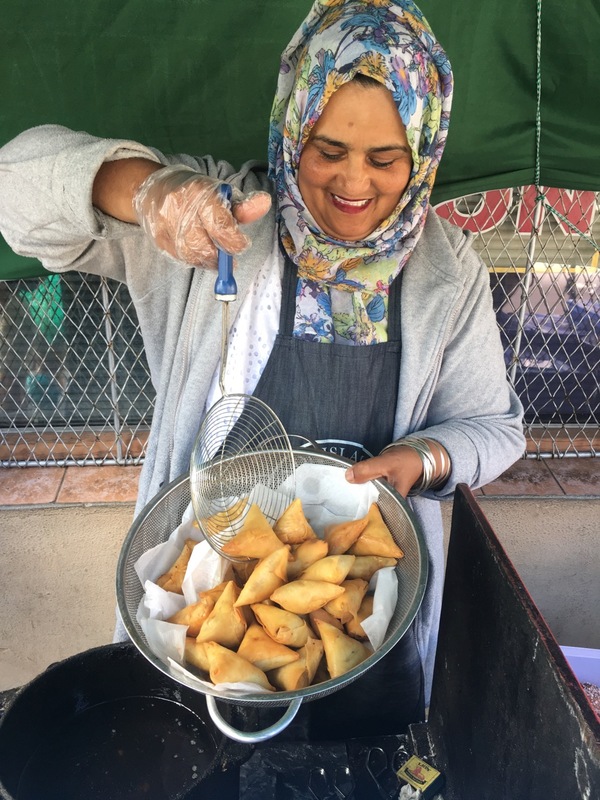 Book our Cape Town Eats City Walking TourBook our Cape Town Eats City Walking Tour – on this tour we sample some of the traditional cuisine as well as experience the artisanal and creative side of our city. Bertus Basson at Spice Route Wine Estate – book for the traditional South African 3 course food and wine pairing at Bertus Basson’s Restaurant at Spice Route. This restaurant is located in Paarl just under 1 hours drive from Cape Town. Here Bertus and his chefs bring in some of the traditional flavours of his Afrikaans background as well as many flavours from the Cape Malay cuisine. This is an awesome meal made by top chefs with great wines and a view. Highly recommended. This region is fun and there is lots to explore and do on the Spice Route Estate. Also make sure you visit Fairview next door afterwards for a cheese and wine pairing. 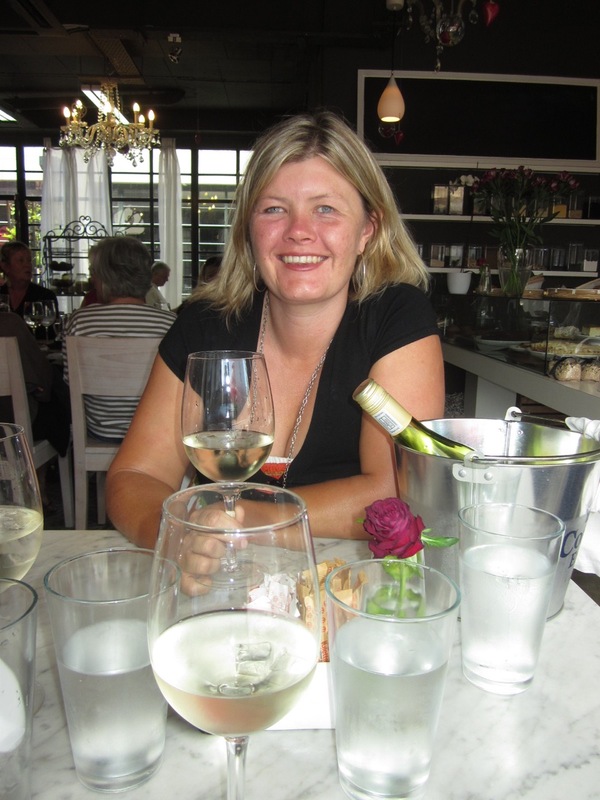 Middelvlei for their Boere Braai – this is a wonderful family owned wine estate. Book for their Boere Braai on a weekend.